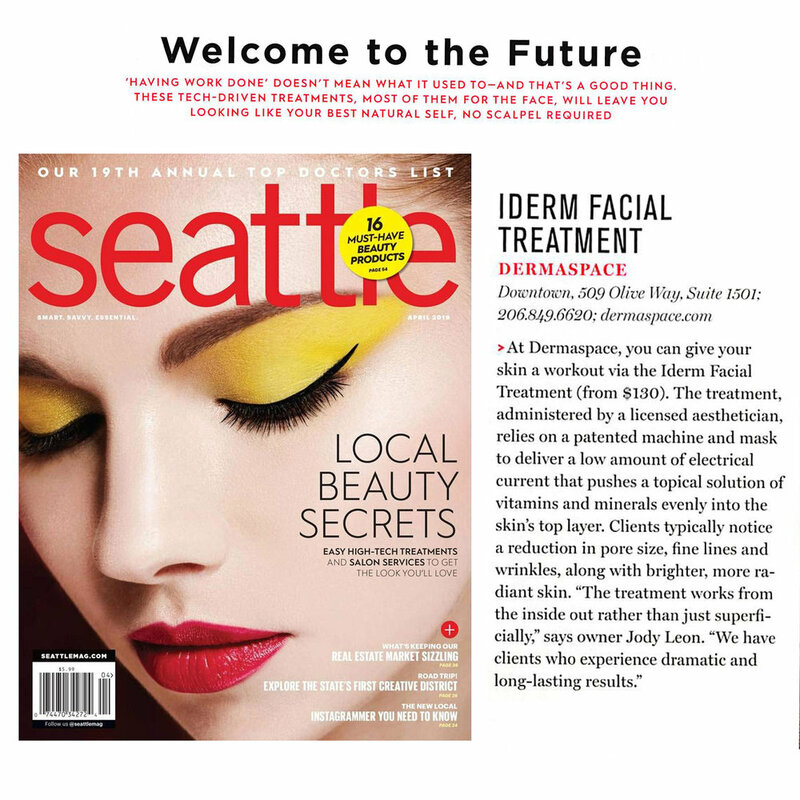 DERMASPACE mentioned as BEST FACIAL in PNW by GOOP! 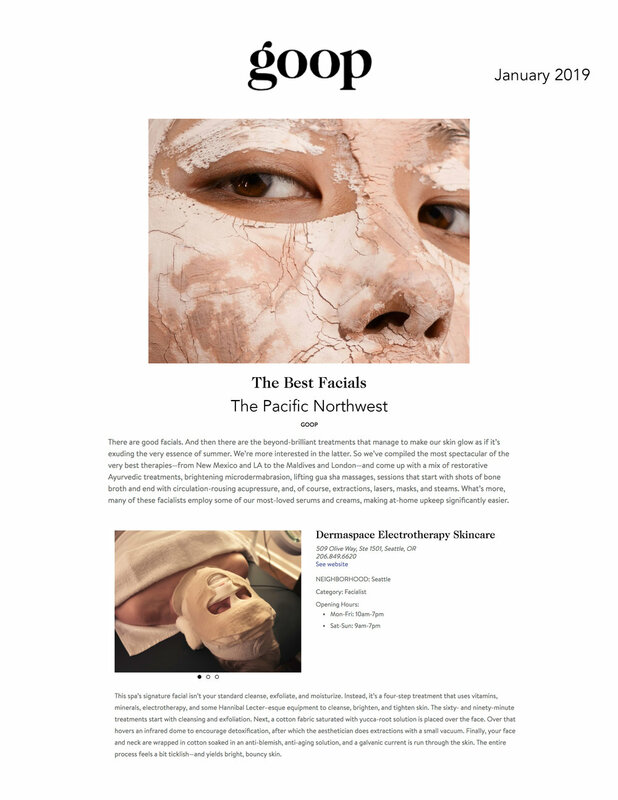 I always like to share any press we get so this is just a quick blog post letting you know that we have recently been listed as "the place" to go for skincare in the PNW by Gwyneth Paltrow's lifestyle blog GOOP. We have already seen an increase in bookings so make sure to get on the books to ensure your spot - you are our #1 priority so please reach out to us if you have any issue booking. Click on the photo on the right to read the write up - I love how they listed us as being in "Seattle, OR".....someone needs to learn how to proof read but thankfully there is only one true SEATTLE!! Funny side story - back in the day, circa 1996, I was working at The Face Place doing the Iderm Facial you all know and love. The owner, Ernie Benson had a HUGE celebrity clientele and one day he was running behind and needed help putting his next client under the heat dome so I obliged. Unlike Dermaspace.....where there is just one bed per room....at the Face Place there are two beds per room so while one client was under the electrical another could be placed under the heat dome and you would stagger clients throughout the day. So......I've come full circle. Who knows - maybe Brad will enter my life once again too!